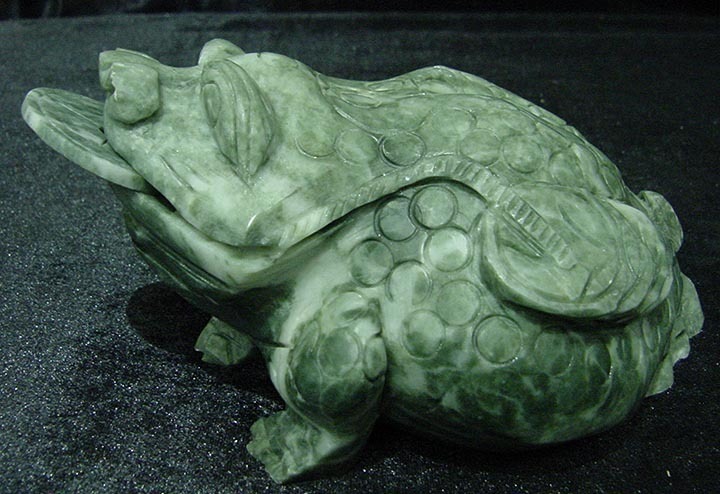 This frog is made from one solid piece of jade. The coin is separate. It appears light green with some spots dark green. Very detailed carving. It is a fungshui item, which is believed to bring good luck and keep bad things away.